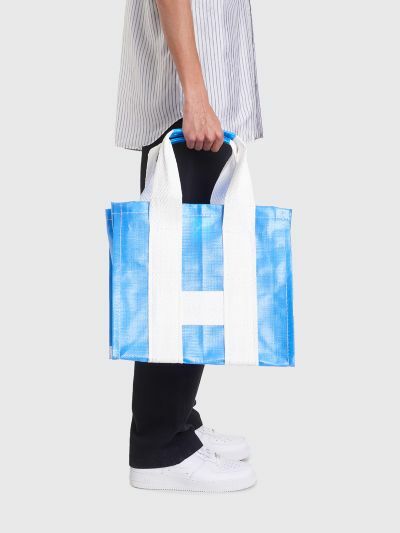 Tote bag from Comme des Garçons Shirt. 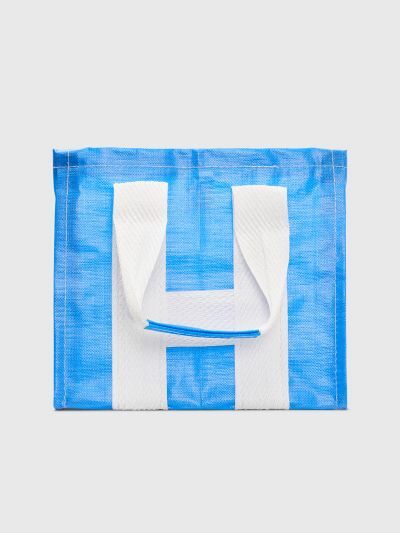 Made from a polypropylene canvas with contrast stitches and contrasting handles. 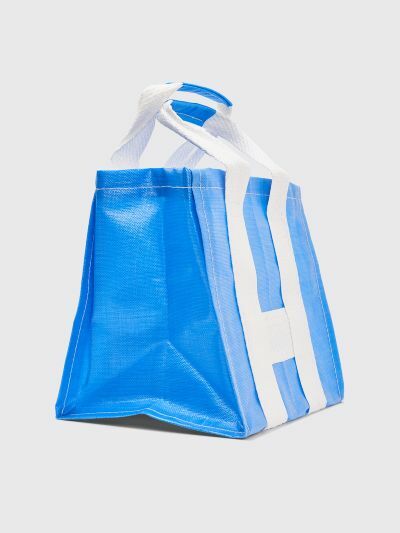 Blue and white bag. 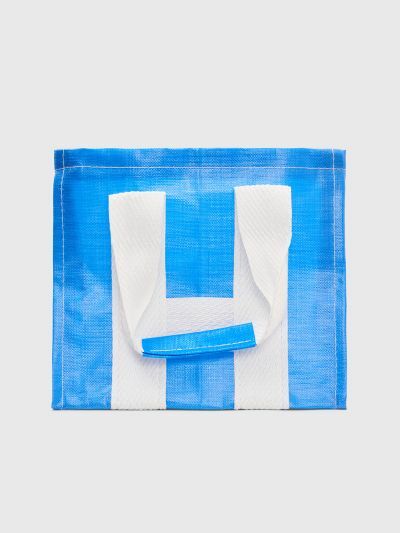 Made from 100% polypropylene. Measures approxiamtely 13 x 35 x 39 centimeters. Handle drop measures 17 centimeters.